Toshiba Wins Keypoint Intelligence-Buyers Lab 2019 Pick Award | Industry Analysts, Inc.
LAKE FOREST, Calif. (December 11, 2018) — Keypoint Intelligence affirms Toshiba America Business Solutions’ commitment to innovation by presenting a 2019 Buyers Lab Pick Award to the tech company’s Elevate™ MFP customization platform. Toshiba’s new Elevate 2.0 is a cloud-based platform for personalizing the user interface of Toshiba’se-STUDIO™ multifunction printers (MFPs) by adding functionality, automating common and sophisticated tasks, promoting commonly used features and incorporating the customer’s branding and taxonomy on a fully customized front panel. A key new feature of the Elevate 2.0 is Elevate Composer. Elevate Composer enables even non-technical personnel to configure and design a custom-tailored MFP in minutes. Allows resellers to tailor a Toshiba e-STUDIO MFP for a given client’s specific needs. 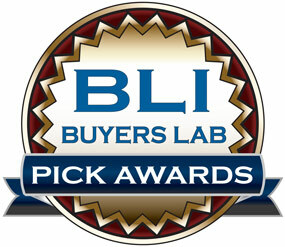 Buyers Lab Document Imaging Software Picks stand alone in the industry and are hard-earned awards as they are based on rigorous testing, including evaluation of key attributes such as features, usability, and value. Each product that passes our lab test earns Buyers Lab’s Platinum, Gold, Silver, or Bronze rating, with the best performers qualifying as Pick contenders. Keypoint Intelligence is a one-stop shop for the digital imaging industry. With our unparalleled tools and unmatched depth of knowledge, we cut through the noise of data to offer clients the unbiased insights and responsive tools they need in those mission-critical moments that define their products and empower their sales. For over 50 years, Buyers Lab has been the global document imaging industry’s resource for unbiased and reliable information, test data, and competitive selling tools. What started out as a consumer-based publication about office equipment has become an all-encompassing industry resource. In a landscape that’s ever evolving, we change with it. This entry was posted in Toshiba and tagged Buyer's Lab, Keypoint Intelligence, toshiba by IA Staff. Bookmark the permalink.